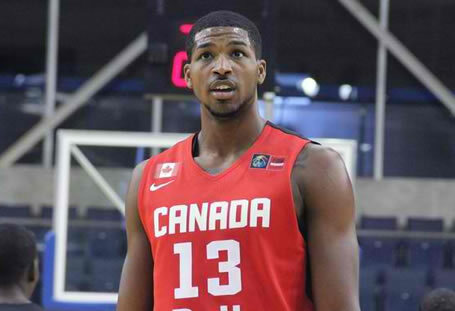 The information below contains the list of the official lineup of the Canadian national team for the 2016 FIBA Olympic Qualifying Tournament that will be held this coming July 5 to 10, 2016 at the Mall of Asia Arena here in the Philippines. Currently there are nine (9) NBA players playing for Canada and one player who already played in the NBA also. Please refer to the table below for more details. Aaron Rene Doornekamp 6' 7"
Melvin Obinna Ejim 6' 6"
Tyler Ennis Mcintyre* 6' 2"
Brady Thomas Heslip 6' 2"
Cory Ephram Joseph* 6' 4"
Andrew Fabian Nicholson* 6' 9"
Dwight Harlan Powell* 6' 9"